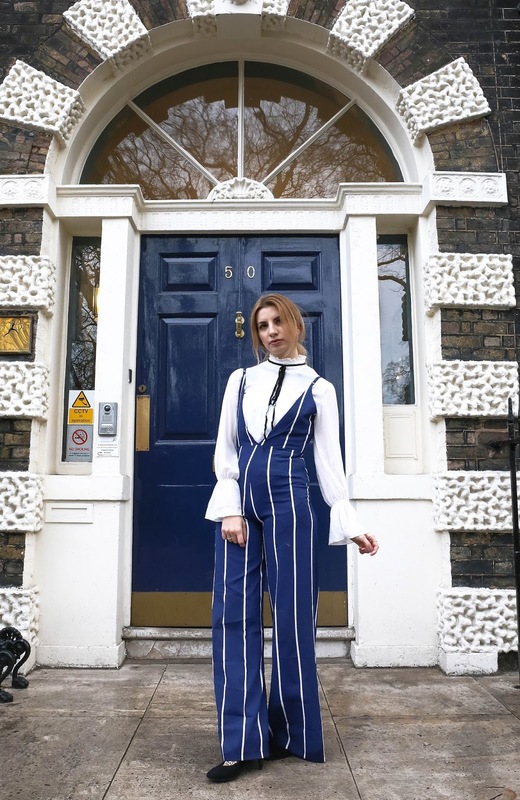 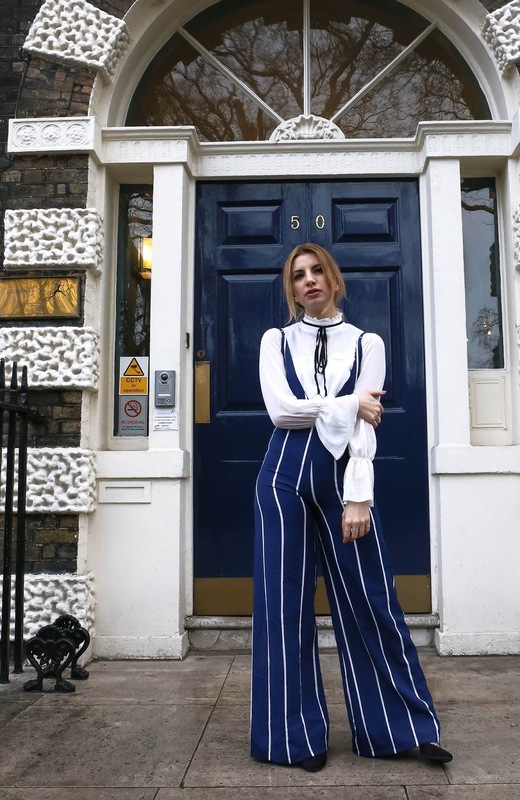 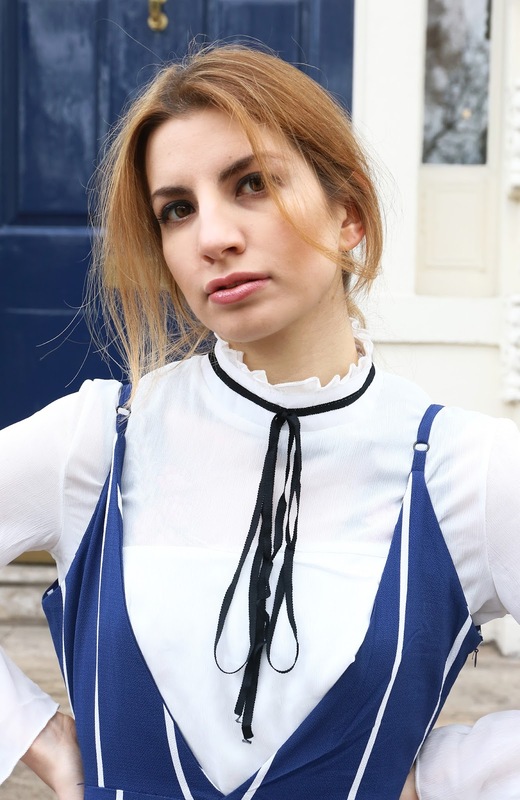 There’s is something of spring in the air, so I thought this new add, a striped palazzo jumpsuit in blue and white, would highlight my blogpost. 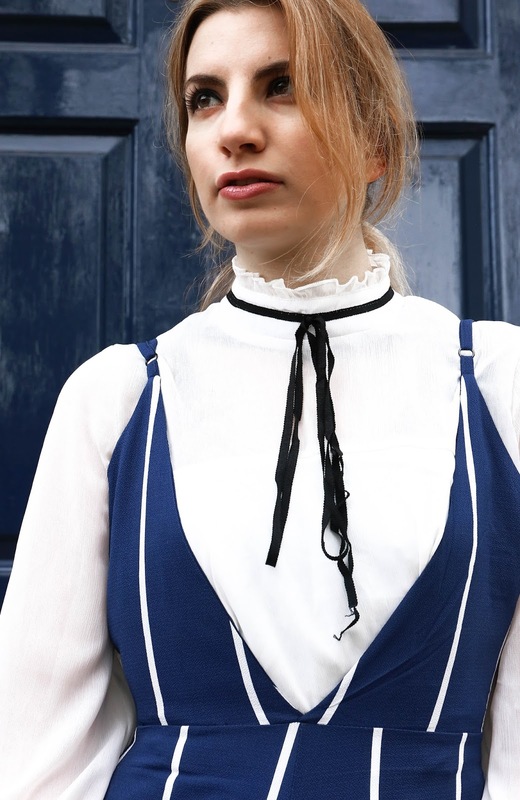 It’s so elegant and chic, that I decided to match it to my new stylish french style blouse. 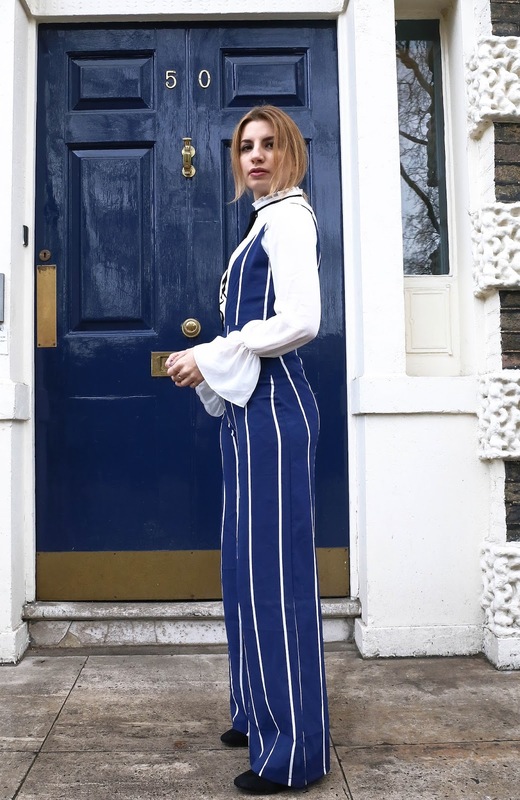 Oh, I also found a blue door for the perfect background!